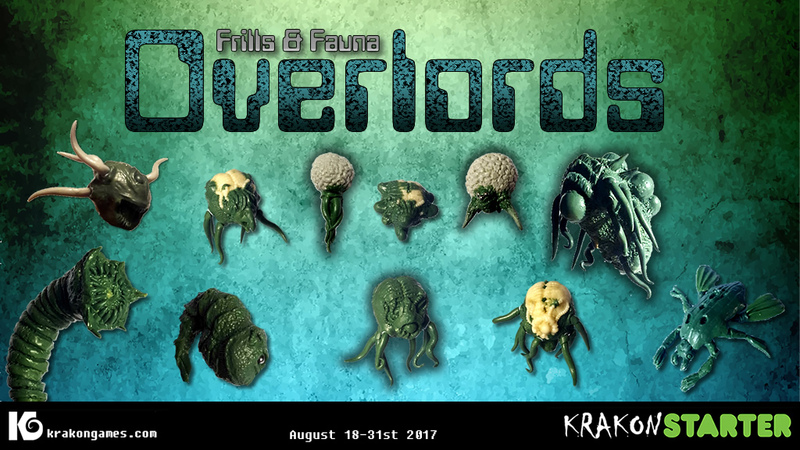 I am currently running a Kickstarter to fund a selection of multi-part floaty aliens - Overlords. Most of the models come with as number of soft slots in which you attach a choice of tentacles. Being cast in resin, the tentacles can be easily manipulated when heated in water, allowing you to pose them as you see fit. You can access previous Kickstarter items as add-ons if you missed out before! Last edited by scscofield; 10-06-17 at 11:04 PM. Loads of new gribblies have been unlocked and the metal Scumbags are now available as add-ons.